Filing a lawsuit is quite complicated and there are certain things you need to know before you can go ahead and carry out the process. First, you must know whether or not you possess the right to file a lawsuit against the individual or enterprise you have a conflict with. To be able to file a lawsuit in the court, you have to be affected directly in a serious manner because of the conflict. In judicial terms, this is called having “a standing” to file the civil lawsuit. Suing in California is a quite complicated, therefore, you should seek the advice of an attorney or assistance in preparing the legal documents from a legal document preparation company. Here the plaintiff usually wants the defendant to act in such a way that his/her wishes are granted if the plaintiff proves his or her case to the court. If the plaintiff succeeds in proving his case to the court, he/she can claim the damages in the form of money from the defendant. Often, the cases of civil lawsuits require the defendants to stop doing something which is affecting or disturbing the plaintiff in some way or the other. 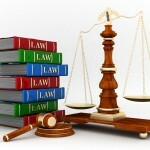 The defendants will have to act accordingly if the plaintiff is able to prove his or her grievance to the court. 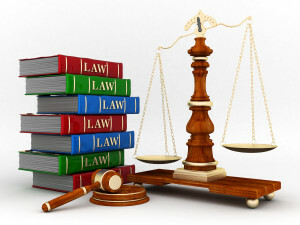 It is essential for you to be equipped with all the required documents to be able to sue the defendant. To get these papers ready, there is a general perception among people that you must have the help of a lawyer. However, there are many low-cost legal document preparation companies which can do the same job effectively. These organizations not only do their job with efficiency, but they also reasonably priced for their services. These organizations, apart from preparing the documents, also submit the necessary papers in the court without any errors. Hiring the services of such organizations is a very convenient way for you to prepare your civil lawsuit.